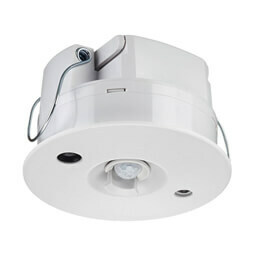 The Philips Dynalite DUS360CR is a recess mountable 360 degree multifunction sensor. 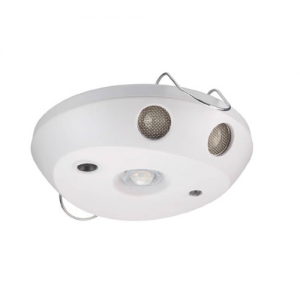 The Philips Dynalite DUS360CR is a recess mountable 360 degree multifunction sensor that combines motion detection (PIR), infrared remote control reception (IR) and ambient light level detection (PE) into one device in applications such as offices, lecture theaters and homes. 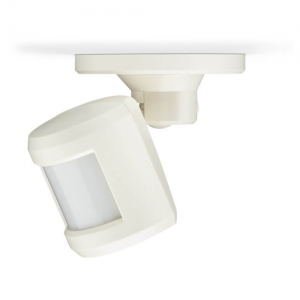 • Motion detection feature — Detects the presence or absence of motion and adjusts lights accordingly. • Segmented click-up bezel — Surrounds the motion sensor element and enables a portion of the sensing field to be masked. This prevents nuisance detection from adjacent doorways or corridors. 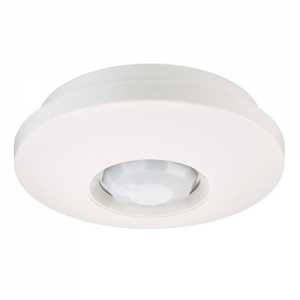 • Ambient light level detection and daylight harvesting — In applications where it is critical to maintain precise light, the PE function reads ambient levels and adjusts artificial light accordingly. • Infrared receive capability — Manually adjust light levels using a hand-held remote control, via the inbuilt IR receive sensor of the DUS360CR. • Daylight Harvesting mode — Delivers automatic energy savings. • Suitable for plenum use — UL approved for installation in air-handling plenum spaces..